World #1 Dustin Johnson has skills that are impressive but stands out in one particular area of the game: the ability to remember to forget his last shot and even his last round. Amateurs would have difficulty emulating his swing but could learn a lot from DJ’s mental approach to the game. You can see it in his gait: easy and ambling as a thoroughbred on a trial run or a ballplayer rounding the bases after a homerun. Johnson is an athlete, physically and particularly mentally. Bad shots don’t phase him. He just proceeds to the next shot with that same easy, confidant gait. He is seldom rattled. He is seldom angered. Good shots please him, sure, but after a quick wave of gratitude and acknowledgment he’s onto to the next moment. He is as much an example of a mindful golfer as I’ve ever seen, pulling this off with the humility and grace of a zen master. How does he do it? It may just be good genes or upbringing, but knowing the emotions golf can trigger, I suspect DJ has trained his mind to remember to forget. And you and I can do the same. Like using success coach and bestselling author Jack Canfield‘s formula: E + R= O, i.e. event plus response equals outcome. In other words we can’t always control the events but we can control our reaction/response to those events which helps lead to a more favorable outcome. Let’s say you hit some miserable, wimp of a putt, and, Sergio-like, you slam your putt down and take out a piece of the green. As it did with Sergio, that kind of response was like bitting down hard on a piece of walnut shell. He and golf fans will remember that for a long time, despite his apologies and promises of never again. I remember borrowing my high school golf coach’s pitching wedge, throwing it hard to the ground after a flubbed chip, and breaking the shaft in half. After 60 some years I still remember and regret that dysfunctional response to the event of a bad shot. So after any outcome, good or bad, take a breather and reset your mind as you would by restarting your computer after a freeze up. You reboot and the computer restarts without any memory of the previous mishap. Regain a bit of a smile, assess your next shot, set yourself up with proper fundamentals, clear the mind, and swing away. I know this is easier said than done, but the more you practice this, the more your brain learns to let go and move on. The result of this relearning, or rewiring, if you will, is better, more satisfying outcomes. Other pros to watch who manifest this kind of remembering to forget approach to the game include Paul Casey, Louis Oosthuizen, Ernie Els, Tony Finau, Harold Varner III, Rory McIlroy, and Jim Furyk. Congratulations to Paul Casey on his successful defense of his Valspar title! Good read and good advice! And don’t forget Jeff Maggert’s bounce back to almost win after 5 putting! Thanks, Richard. Right. We can add Maggert to that list of mindful golfers who can remember to forget! Nice post Stephen…I too love DJ, just wish he would “remember” what it was like to sink some putts lol ! 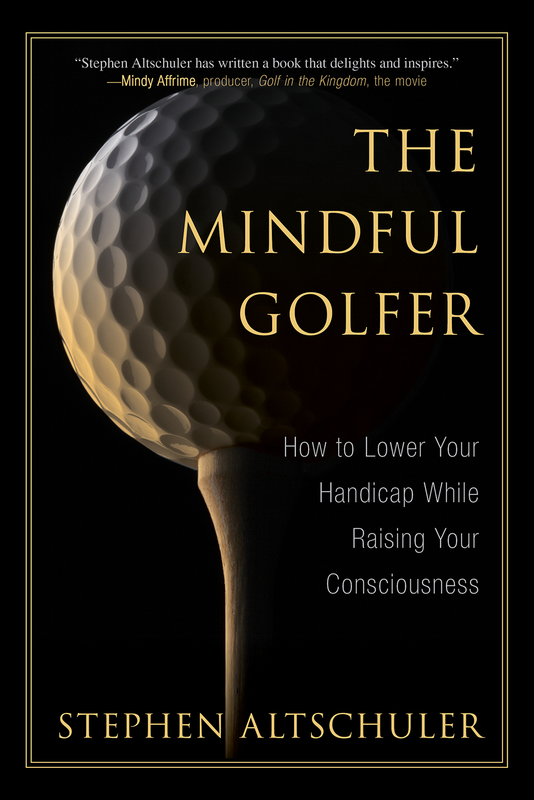 On my quest to become a more Mindful Golfer, I have to quit forgetting to “Remember to forget” !! Thanks, Mitch. Well, with 20 wins, DJ has made a few putts. And in your case, the goal might be more toward mindlessness than mindfulness. Then when you forget to remember you forgot, you could remember…sheesh, I forgot what I was about to say…Lol. Have a good one, Mitch. Thanks for the informative post. Very helpful. The post that really helped me was actually the first post that I read by you. The Key Move. I am not a great golfer but that post has really helped me. I always try to remember it when I go out to golf. Really appreciate your comments, Phil. Glad you enjoyed this present post, and particularly happy that you benefited from the Key Move post. That post has received more hits than any other I’ve done. I hope it’s helped others as much as it’s helped you. By the way, I too have reread that piece when I get off track with my swing.